Applications for the 2019 Individual Athlete Program are now open. Applications will close at close of business on Wednesday 22nd May 2019. The Application and Information can be found here. Individual scholarships are available to athletes in Olympic, Paralympic and Commonwealth Games sports where ACTAS does not host a squad program. No athlete works in isolation; behind every great success story is a support network helping them reach their dream. With 50 days to go until the 2016 Rio Olympic Games we celebrate the team behind the team by learning more about two Canberrans who have been selected to join this year’s Australian Olympic team. ACT Academy of Sport (ACTAS) psychologist Sarah Jack has practiced as a psychologist for 15 years and has worked as a sport psychologist for the last six. Along with soft tissue therapist, Lauren van Leent, who has worked with ACTAS since 2013 and has practised as a soft tissue therapist for the last 16 years, Sarah has been selected to work with the Australian medical team at this year’s Rio Olympic Games, where they will provide services to Australian athletes or staff members. 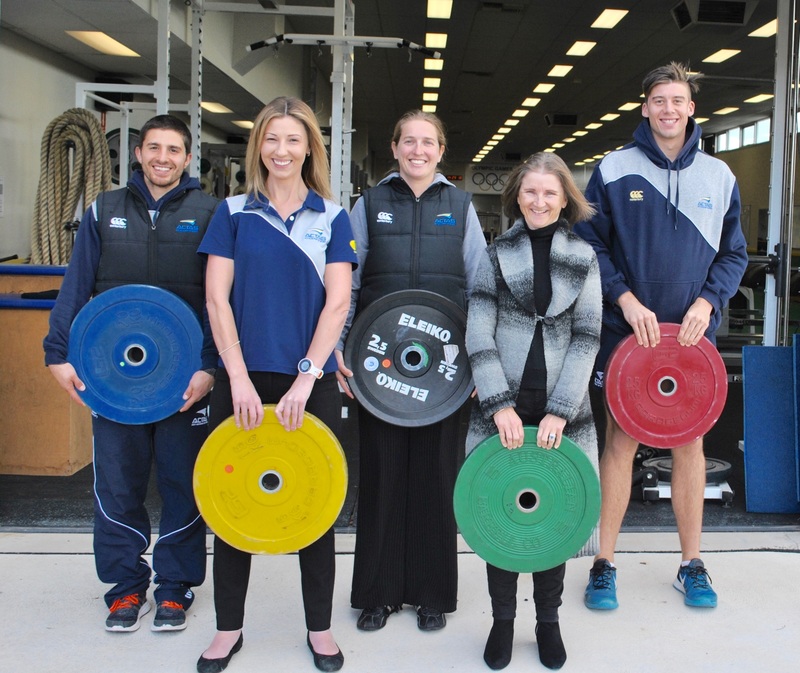 There are currently 12 ACTAS athletes who are in contention for the 2016 Games, with many other aspiring athletes working on future campaigns and selection. This isn’t the first time the Canberra-based duo have been selected for the Australian medical team at an Olympic or Paralympic Games. Sarah was a psychologist at the 2012 London Paralympics and again in 2014 at the Sochi Paralympics. Lauren also accompanied the 2012 Olympic rowing team in London. While most teams supply their own travelling medical staff, Sarah explained that she and Lauren will be on hand to try and fill any gaps if teams are over run with their athlete’s and staff, or to provide support if critical incidents occur. Selection as a health professional at an Olympic or Paralympic Games is a highly competitive process, and Sarah is one of just two psychologists who have been chosen for the national team. She explained that psychology provides the tools to deal with the added external and internal pressures staff and athletes are under at the games, making sure that they are able to perform at their best when they need to. Working in a high performance, high-pressure multi-disciplinary sporting event offers great development opportunities for not only herself but also for the entire psychology profession. Sarah hopes that the knowledge she gains will further develop support strategies for Australian sporting institutes and academies in the lead up to future benchmark events. Perhaps those who will benefit most from her experiences are the ACTAS athletes who are on the pathway to such events and utilise Jacks skills on a regular basis. For Lauren, her experience in Rio will be quite different to that of her last Games in London, as this time around she is one of eight soft tissue therapists who has been selected to work from Australian medical team headquarters, rather than with a specific group of athletes. She describes the level of skill in her team as “quite special and quite phenomenal”, and sees Rio as a “really great opportunity to put all of her skills together” while learning from her talented colleagues in the highly accredited multidisciplinary sports medicine team. The Rio Olympic Games are on from 5 – 21 August and the Paralympic Games from 7 – 18 September. To stay up to date with which Canberrans will be representing Australia this year, keep an eye on @theACTAS Twitter account.